Xiaomi has announced that its Redmi 5A smartphone will now be available for its original starting price of Rs. 5,999 in India. 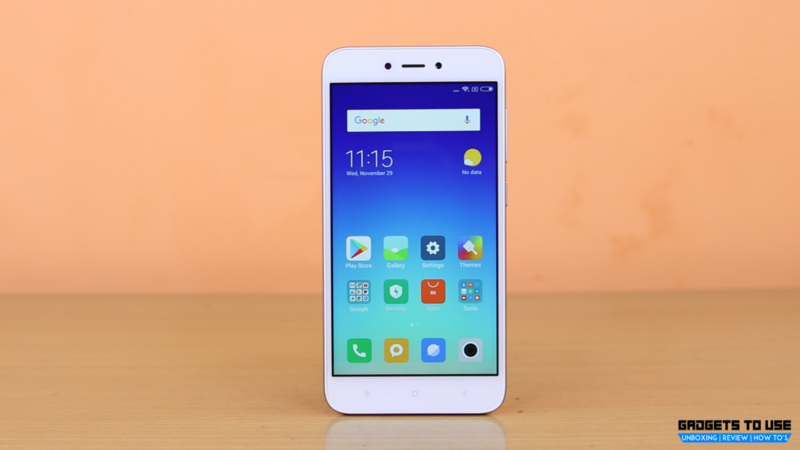 To recall, Xiaomi had discounted the Redmi 5A at a starting price of Rs. 4,999 at the time of launch. But this discounted price was only for the first 5 million units of the phone. The 3GB variant was launched at the regular pricing and this discount was only for base variant. Now, it seems like Xiaomi has managed to sell 5 million units of the 2GB variant of Redmi 5A. Launched in November last year, the smartphone was touted as ‘Desh ka smartphone’ and it comes with features like 8-day battery life, a dedicated microSD card slot etc. It is now available with the new pricing which is applicable across Mi.com, Flipkart, and Mi Home retail stores. The Redmi 5A 2GB RAM + 16GB storage is now priced in India at Rs. 5,999 which was its original pricing. On the other hand, the 3GB RAM + 32GB storage model is still available for its regular price of Rs. 6,999. The smartphones are available in Dark Grey, Rose Gold, and Gold color variants. If we recall the specs, the entry-level Redmi 5A comes with MIUI 9 on top of Android Nougat 7.0. The phone sports a 5-inch HD (720×1280 pixels) display. It is powered by a Qualcomm Snapdragon 425 processor coupled with 2GB or 3GB of RAM and 16GB or 32GB of internal storage. In terms of camera, the smartphone sports a 13MP rear camera with f/2.2 aperture, LED flash, and PDAF. On the front, there is a 5MP camera with f/2.0 aperture. Th phone packs a 3000mAh battery. Connectivity options on the phone include 4G VoLTE, Wi-Fi 802.11 b/g/n, Bluetooth 4.1, GPS, 3.5mm headphone jack, and a micro-USB port. Redmi 5A sale starts on March 15 on Flipkart. You can but the smartphone from here. The company is also launching Redmi 5 in its Redmi series in India reportedly on March 14.